Join us for the Reiki Share Group! Reiki Healing – time for you to give and receive. A bit out of practice? Ideal, come along and gain your confidence. Ask me any questions about Reiki and receive support in your own growth as a healer. 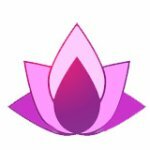 Short Group Meditation to align your chakras. Dee qualified as a Master in 1997 and is a qualified teacher and shaman. “ Reiki is for Sharing! for Giving and Receiving, let us share that gift together”. If you are qualified in Reiki 1, 11 or Masters. If you would like to receive Reiki and see for yourself what it’s all about, give me a call and you can come along to one of our session to receive Reiki Healing. If you are interested in becoming a Reiki Healer give me a call and come along to receive healing. If you are already practising Reiki and wish to bring a friend to receive Reiki Helaing.